So, if you love tinkering or if you are just looking to get on-board with the latest Android version, Custom ROMs are the way to go. 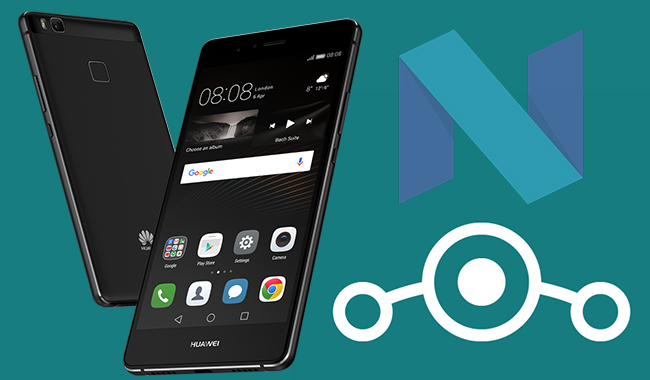 Choosing a custom ROM is a tough job, as it looks complicated and there’s also the issue of compatibility or serious bugs. Well, we are here to make things easier. CyanogenMod is an enhanced open source firmware distribution for smartphones and tablet computers based on the Android mobile operating system. It offers features and options not found in the official firmware distributed by vendors of these devices. 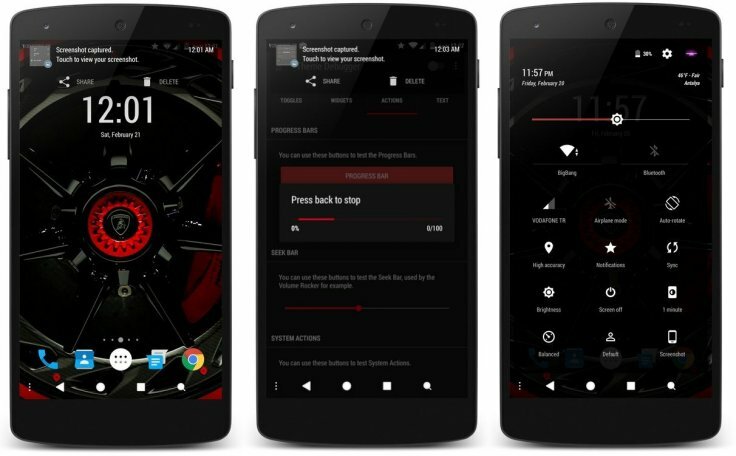 Features supported by CyanogenMod include native theming support, FLAC audio codec support, a large Access Point Name list, an OpenVPN client, an enhanced reboot menu, support for Wi-Fi, Bluetooth, and USB tethering, CPU overclocking and other performance enhancements, soft buttons and other “tablet tweaks”, toggles in the notification pull-down (such as wi-fi, Bluetooth and GPS), app permissions management, as well as other interface enhancements. 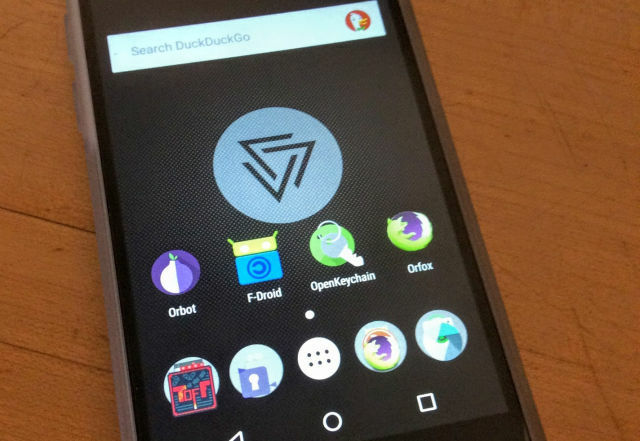 CyanogenMod does not contain spyware or bloatware. 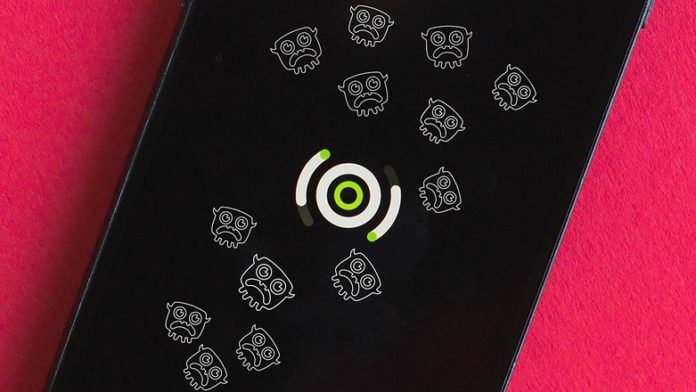 In many cases, CyanogenMod may increase performance and reliability compared with official firmware releases. 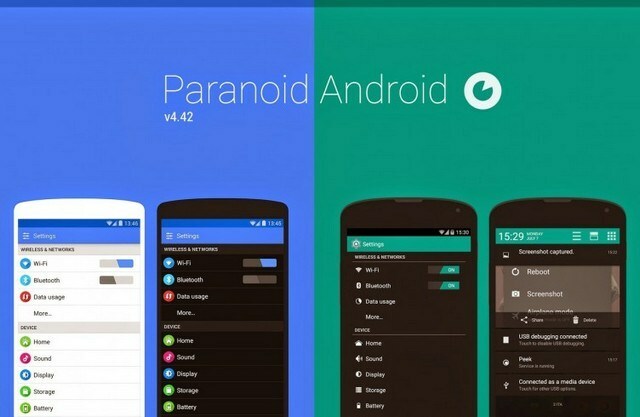 Paranoid Android is another very popular ROM, which has been competing against CyanogenMod since a long time. The ROM has a beautiful interface and you can customize everything the way you want. 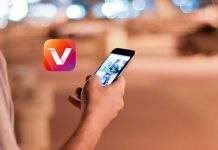 There are a number of cool unique features like hover notifications, cool immersive mode (hides the status and navigation bars), dynamic system bars, peek notifications from lock screen and ability to use gestures instead of the navigation buttons. Furthermore, it packs in Cyanogen’s theme engine along with various other customization features. The ROM is officially available for Nexus, Oppo, and OnePlus devices but you can get it on other devices through unofficial channels on XDA. Resurrection Remix is one of the most stable, regularly updated and clean looking ROMs, which also stands out through its features. The ROM lets you personalize everything, from the lock screen, notifications drawer to the navigation buttons and animations. Other features include Pitch Black dark theme, customizable notifications and more. Ressurrection Remix is a ROM aimed at people who want to tinker with every element in the interface. The ROM’s website states clearly that it has an amalgam of features from other popular ROMs. The good news is that the ROM is supported on various Android smartphones and the developers recently outed a Marshmallow build as well. 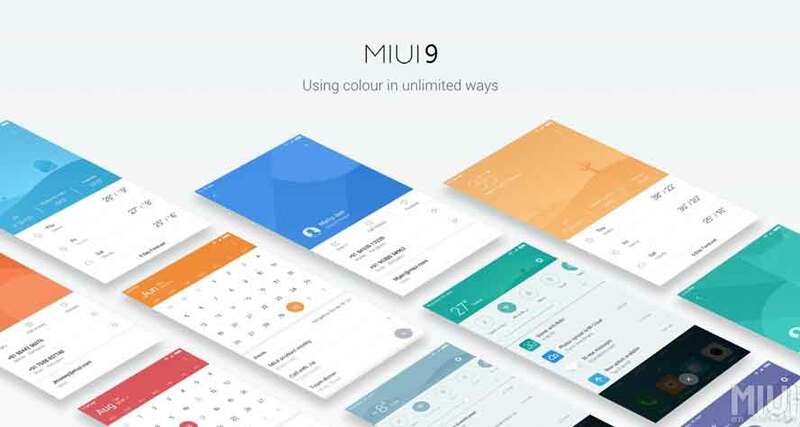 MIUI is a popular name, thanks to Xiaomi’s increasing market share and the good news is that the ROM is available as for other devices as well. While the OS does look like a rehash of iOS, it still looks beautiful and most importantly, works flawlessly. MIUI is for people who want a huge departure from stock Android. The ROM brings some handy features like Child Mode, Showtime, popup view, Blacklist, data stats, MiCloud, Theme store and more. It also lets you customize everything about the interface and moreover, the ROM is regularly updated. The ROM also supports a lot of devices including older ones, so you can certainly breathe new life to your older smartphones through MIUI. Full Disk Encryption at the filesystem layer, covering all data (AES-256-XTS) and metadata (AES-256-CBC+CTS). The encryption key is randomly generated, and then encrypted with a key encryption key derived via scrypt from the passphrase the verified boot key and the hardware-bound Trusted Execution Environment key which also implements rate limiting below the OS layer. Full verified boot, covering all firmware and OS partitions. The unverified partitions holding user data are wiped by a factory reset. Fine-grained ioctl command filtering is done via SELinux. This is better than using seccomp-bpf to filter ioctl parameters since it’s per-device-type and lower overhead. This is currently used for socket ioctls, but is being expanded to cover everything. Kernel attack surface reduction via seccomp-bpf. 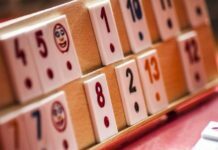 The sandbox is entered after initialization to reduce the necessary system calls. This is currently done for the media extractor and codec services but is being expanded. XenonHD is a fast and performance oriented ROM, thanks to its lightweight nature. Along with the performance, the ROM does not sacrifice on features as well. It brings layers based RRO theming, which lets you theme your interface according to your need. The ROM brings a stock look but you can customize everything including the status bar, notification drawer, buttons etc. The Lollipop based ROM also includes features like built-in root access, privacy guard, filter notifications and more. The ROM is certainly not very feature rich but it arguably brings the most stable and breezy performance. The ROM is available for a few Samsung, Sony, Nexus, HTC, Oppo devices through the official channels but you can get it on other devices from unofficial channels as well. 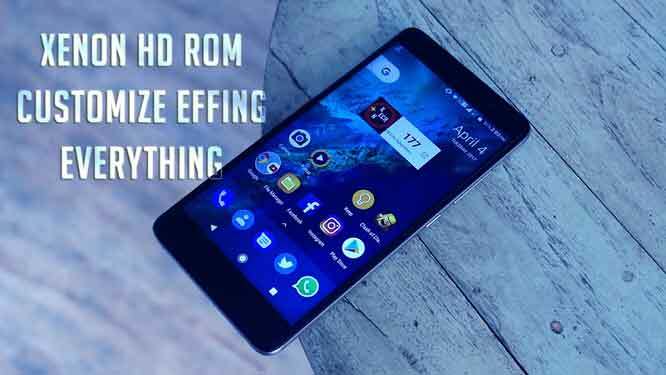 There are plenty of other custom ROMs available for Android but we found these to be the best out of them. These custom Android ROMs pack in lots of features and they are stable, which is an important thing to know in the world of Android mods. So, what are you waiting for? Try any ROM you like and let us know how you like it.